Nose: Roasted almonds & dried fruit, folloed by egg cream, vanilla, ripe grapes, & caramel. Palate: Chocolate, peppery, cocoa, tobacco leaf. Satisfying, lingering, slightly dry finish. At 48°, the Lheraud Vintage 1970 Petite Champagne Cognac is powrful, complex, and well rounded. This traditional Cognac house specializes in producing such vintages, creating them with the passion and knowledge that's been handed down through the family over the centuries. 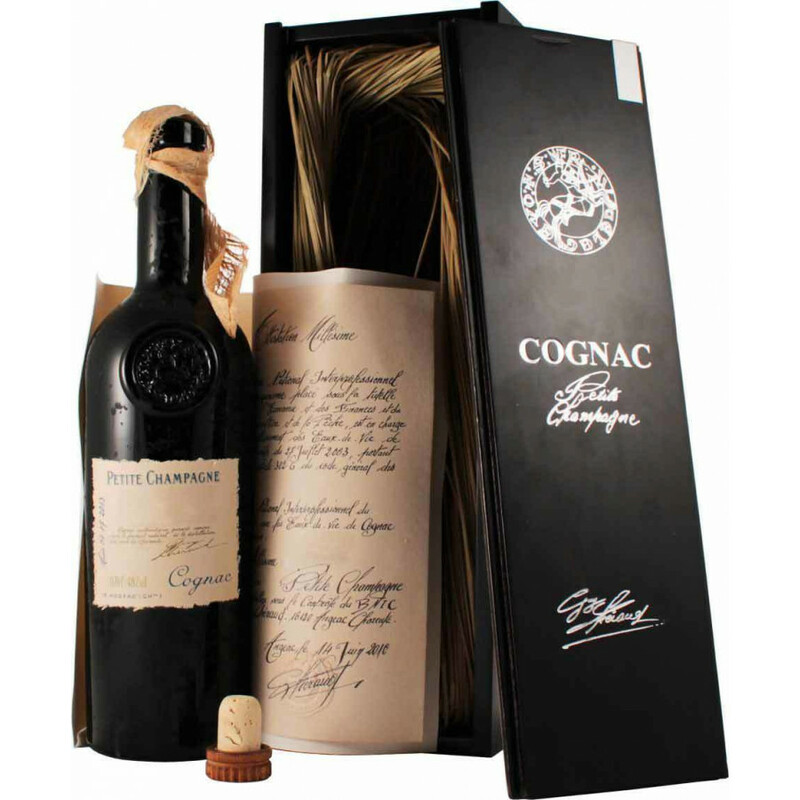 This Coganc will certainly appeal to the connoiseur, thanks to the sensory journey on which it offers the taster. The vibrant color is the first hit to the senses, followed by the ever-changing aromas that tantalize the longer you hold it in the glass. On the palate it provides an initial blast of pepper and chocolate, that soon mellows into one of licorice, tobacco, and cocoa. And naturally, the finish is truly lengthy and satisfying.